CBNA students having fun in Mexico. 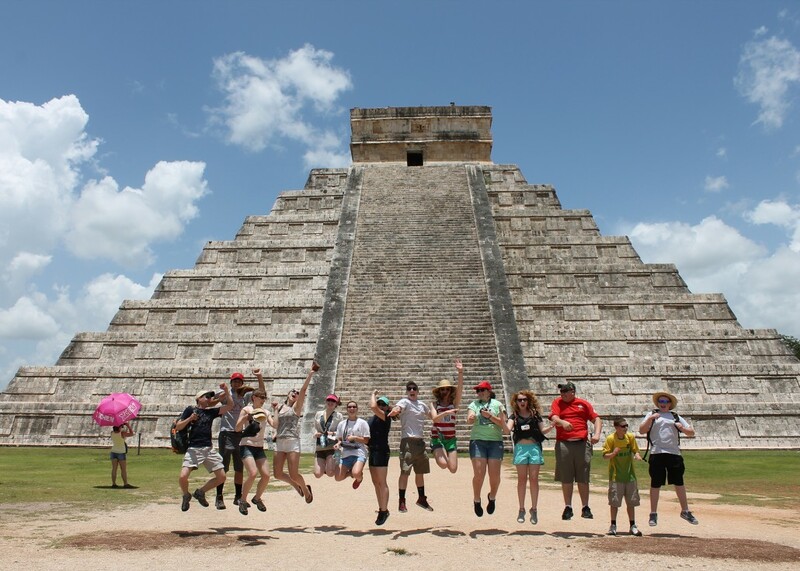 Twelve Coe-Brown Northwood Academy students, led by CBNA Spanish Professor Michael Clauss, traveled to Mexico’s Yucatán peninsula in June, 2014 for an educational tour. 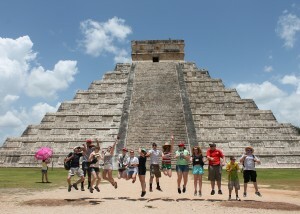 The group traveled to several Mayan archeological sites, including Chichén Itzá, one of the seven wonders of the modern world. They also visited the Spanish colonial cities of Valladolid, Mérida, and Chetumal, had lessons in traditional dance, tried many types of regional food, visited a traditional Mayan home and experienced eco-tourism by swimming in waterfalls, in underground caves, and at Mexico’s pristine beaches. Collecting photos of VW beetles and items for a photo scavenger hunt rounded out the fun.